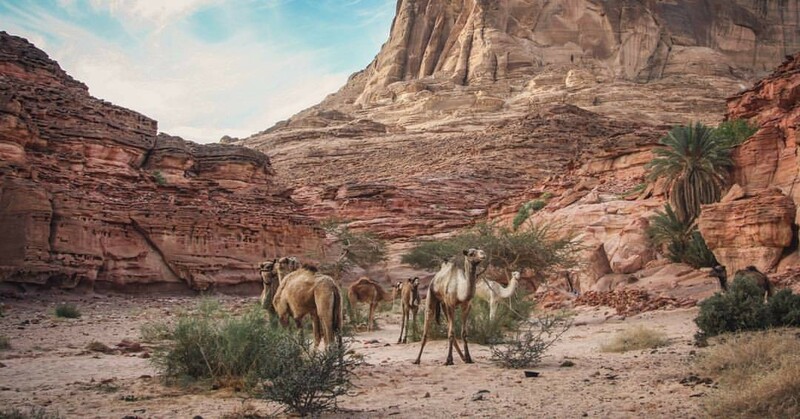 We spend 4 nights and 5 days walking through the Sinai deserts, venturing back in time to our ancestral roots, walking through old trails and camping in luxury under the stars, what the Bedouins call the “million-star hotel”. This is an opportunity to unwind from the stresses of everyday life. 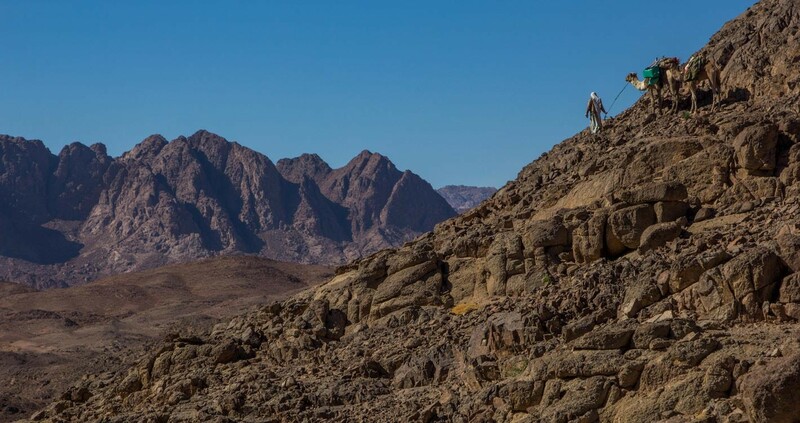 Egypt’s first ever long distance hiking trail, the Sinai Trail, is a 250 km-long sea to summit route through the greatest wilderness in the Middle East, beginning in the Gulf of Aqaba and ending in the mountains of St. Katherine. 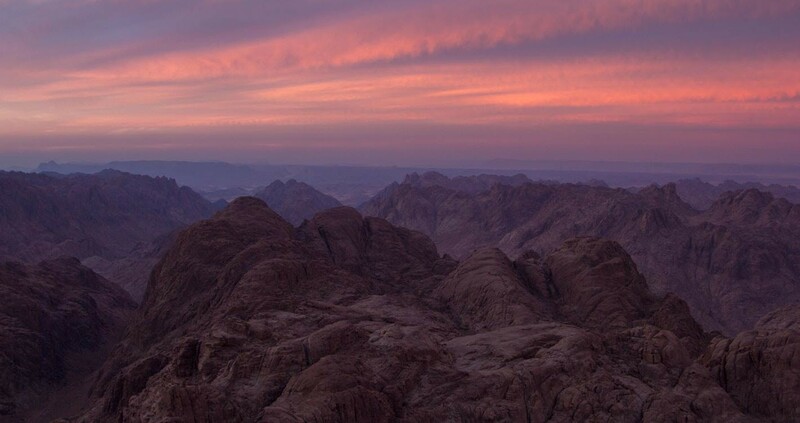 The Sinai Trail aims to create a sustainable tourism economy that benefits local communities, particularly those in remote and marginalized areas. 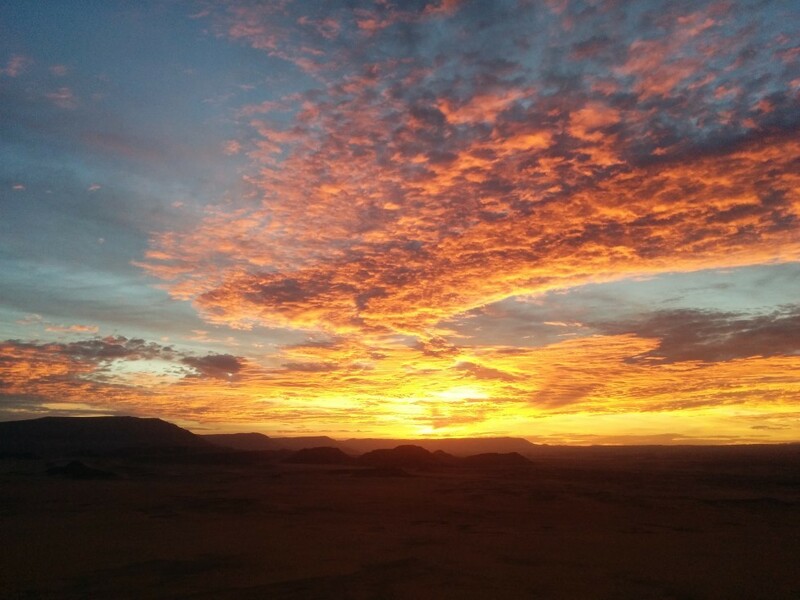 Our Live Tribal adventure provides people from across the world a new and bespoke experience of Egypt: its unforgettable desert landscapes, nature, heritage and people. 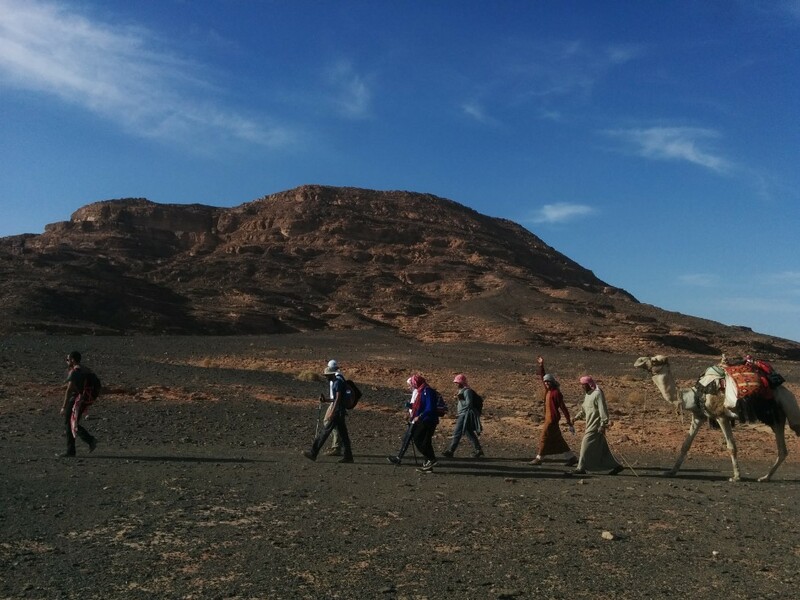 People have been crossing Sinai – walking its old paths and byways – for many millennia. The Sinai Trail keeps this tradition alive. 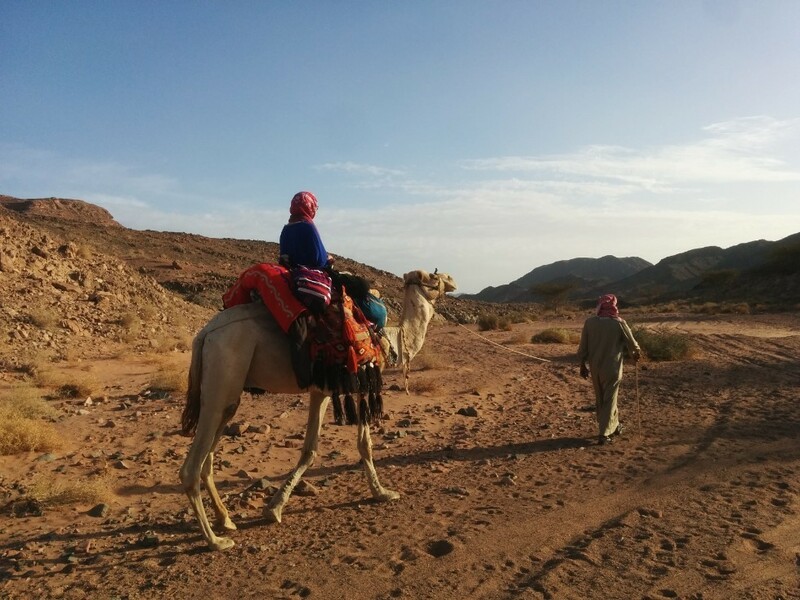 The Sinai Trail is managed by a cooperative of three Bedouin tribes (Jebalaya, Muzeina, Tarabin). Dinner will be arranged in Abou El Sid, a quintessential authentic Egyptian cuisine experience. It is a place locked in time and space, where the renowned Egyptian hospitality comes alive. 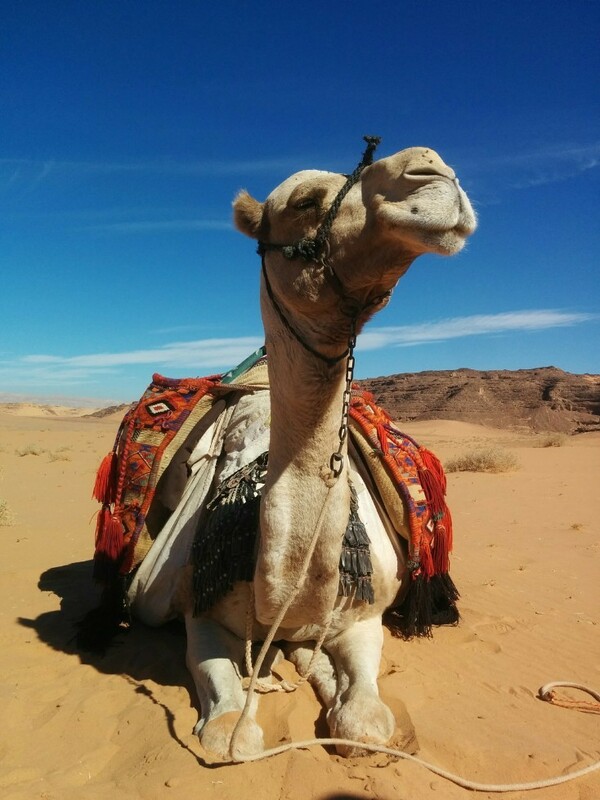 Travel through the beautiful desert landscapes, through an oasis and water canyons. End every night camping under the stars on our deluxe camping adventure. The scenery on this hike is breathtaking and indescribably beautiful. 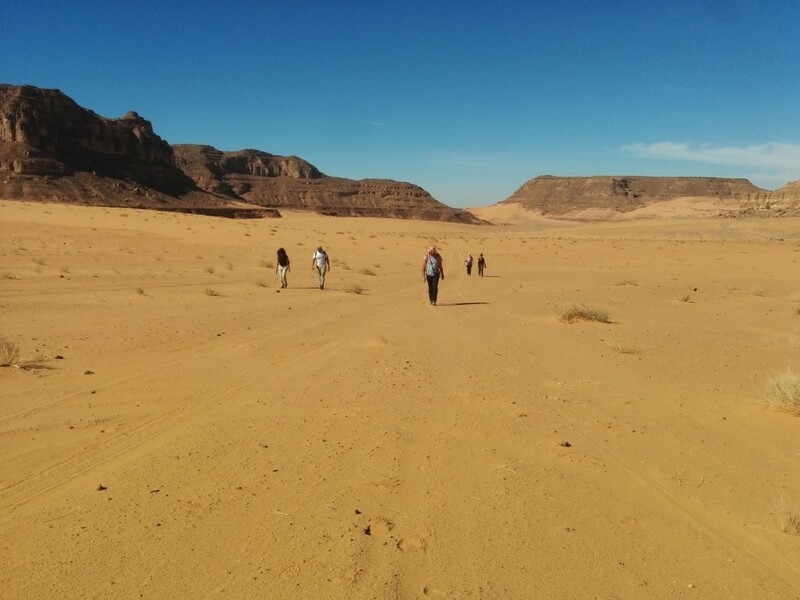 You will be hiking through the desert like mountains of Sinai and seeing a completely different side of Egypt that you have never seen before. Depending on which part of the trail we are taking, this could be around the mountains or closer to flat land and desert lakes. 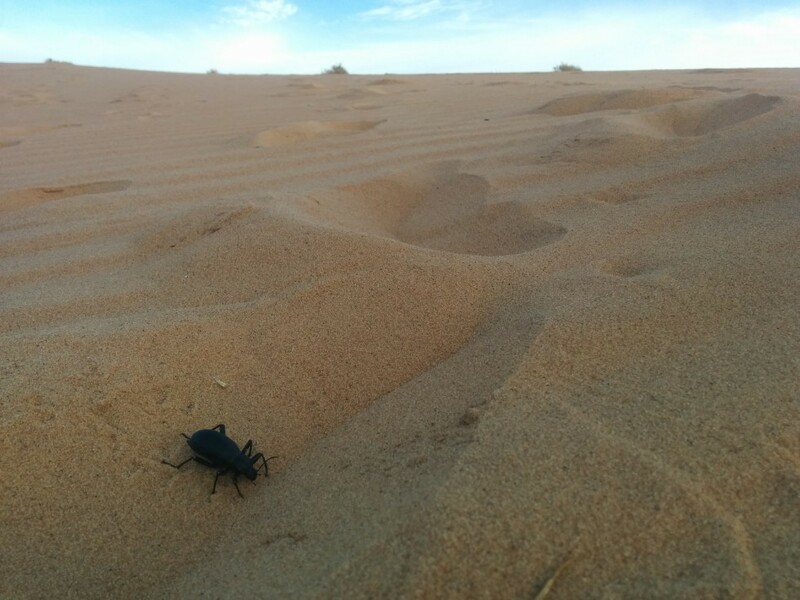 The desert environment can make weather a bit extreme, hot summers are juxtaposed to extremely cold winders. The perfect time for this trip would be late autumn and in order to avoid extreme heat and cold. Peak months are mid October to Mid November and mid Feb to end of March. 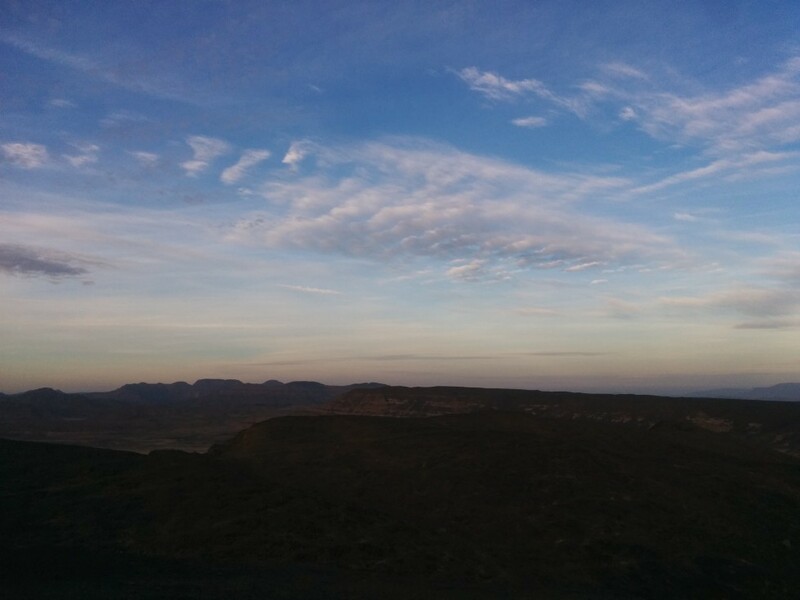 During these months the weather in the morning is sunny and hot while hiking so make sure you always carry water for hydration, at night you can enjoy the cool desert breeze. 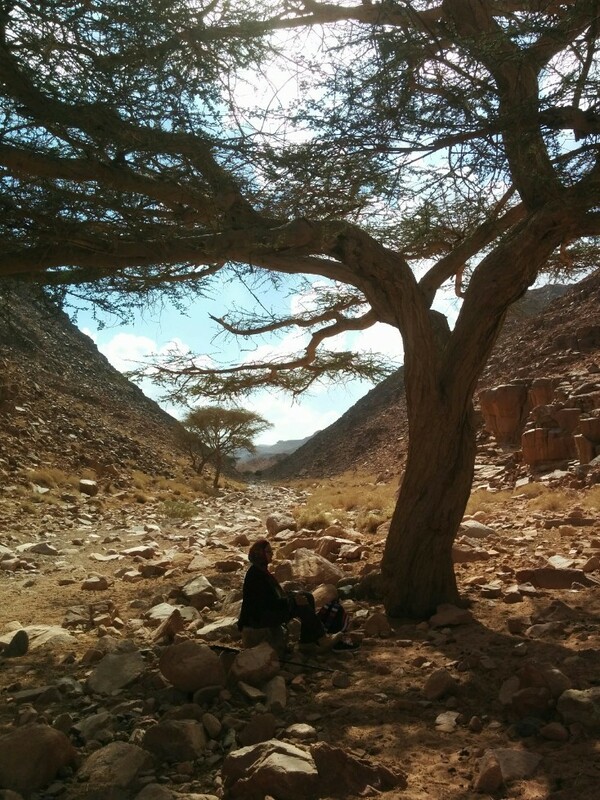 The first 3 nights are spent camping as we make our way through the pristine Sinai Trail. You will learn basic camping skills and how to set up a tent. Every 2 people will share a 3-person tent to ensure there is enough room to make you all feel comfortable. The last night will be spent in a charming lodge in St. Catherine village. You will be treated to 3 extremely delicious meals on a daily basis You will have 3 daily extremely delicious meals throughout the trip where you can help in their preparation if you want to. Breakfast is usually eggs, cheese, beans, honey and jam, lunch is on the light side having pasta and salad, while dinner you will enjoy the amazing cuisine of bedouins which is vegetables, meat or chicken slow cooked on charcoal or on the fire with some rice and salads. You don’t need to be an experienced hiker to join this trip but you do need to be fit enough to hike or at least 3-4 hours every day sometimes in hot conditions. However, each day will just keep you motivated for the next with the great company and beautiful scenery. 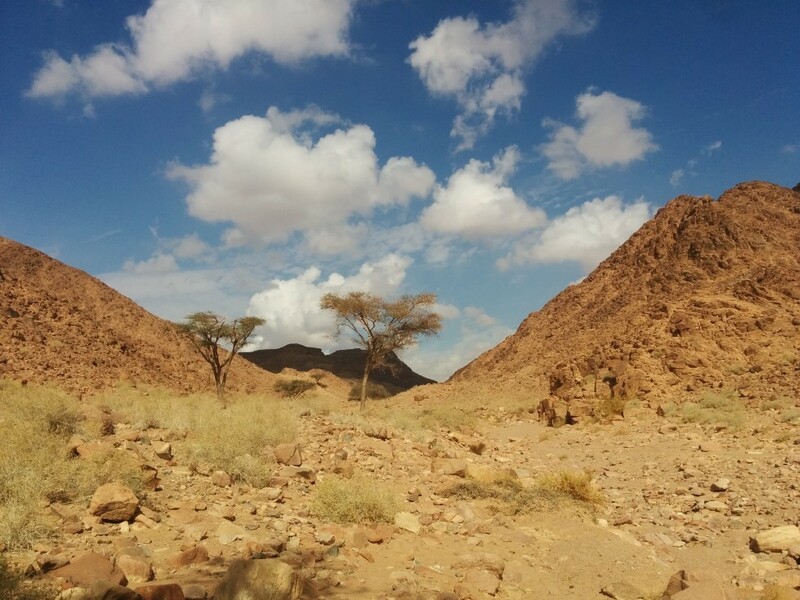 Over the New Years break I hiked 80 km with WG as part 2 of the Sinai Trail (the Muzeina Zone) which started in the Blue Desert outside St. Catherine area, and ended in Ein Hudra near Nuweiba. It was a sensational experience over 5 days where we hiked and camped in a different landscape every day. 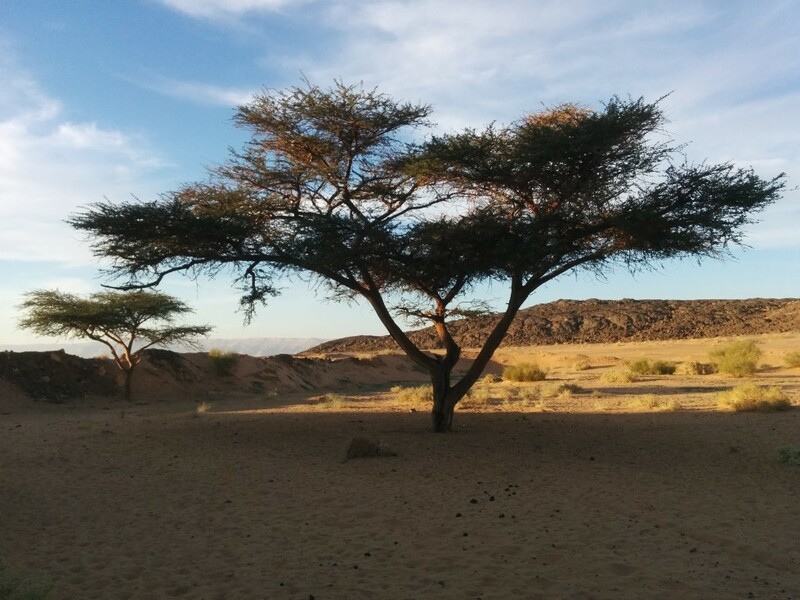 So we got to see the mountainous landscapes of St. Catherine's area, then the soft sand dunes and the lowlands after that in the Muzeina area, and then the beautiful palm trees and oasis area by Ein Hudra. 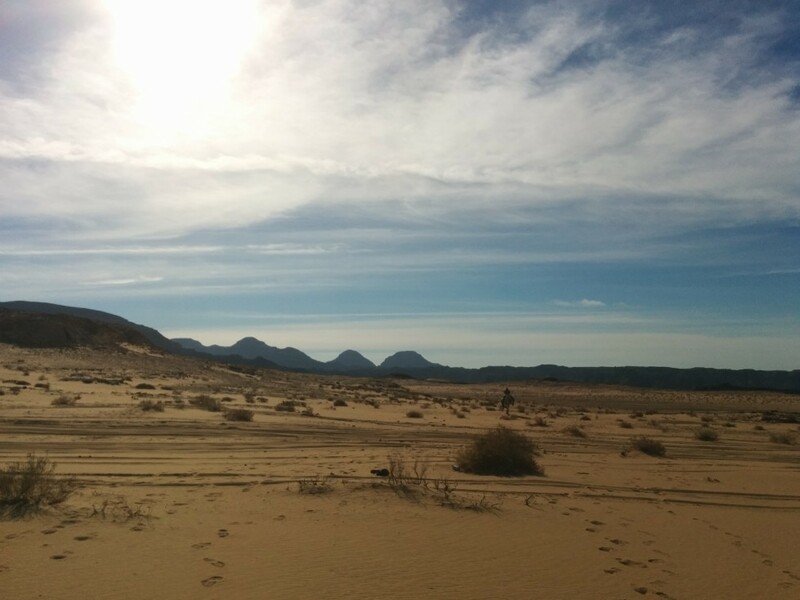 It was remarkable to walk through each of these different ecosystems in the span of 5 days and experience it all with some of the best Bedouin guides from the Sinai Trail who know the area the best, and are able to tell us the stories of the area an its heritage. Such an enriching experience i doubt i'll ever forget. Thank you! !